When we discuss legacy, we tend to think of something that has been bequeathed from the past. A representation of history, not of the present or future. Yet an organization’s legacy is both current and constantly changing. It evolves with markets, customers, and even the organization’s leaders. 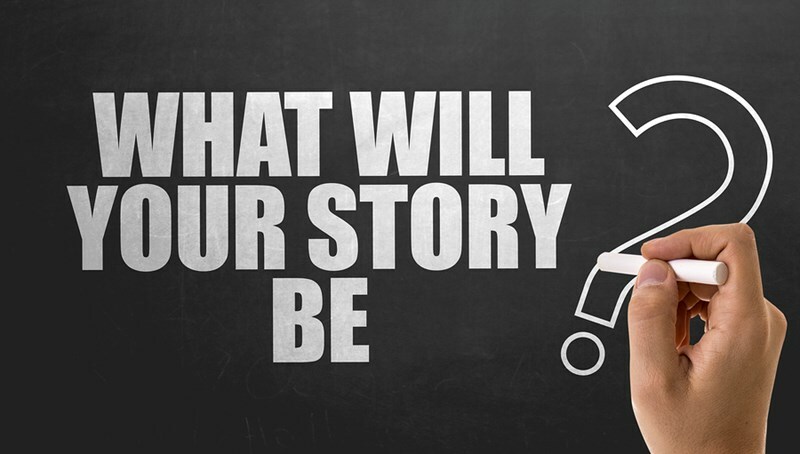 Your legacy narrative has the power to energize change, and central to this is your brand’s storytelling strategy. IBM was the king of the computer market in the 1980s. Then along came competitors with cheaper and better products. IBM sales slid, and it was forced to evaluate its position and branding. It abandoned its core business and reinvented itself as a provider of IT expertise and computer services to businesses. Berkshire Hathaway was a textile powerhouse when Warren Buffett bought it in the 1960s.By the mid-1980s, the company could no longer compete against global textile companies. Buffett kept the company alive by reinventing it as the holding company for his global investments. Nintendo, the global video games giant, didn’t sell computerized games when it was founded in 1889. It sold handmade playing cards. Through the years, the company tried to enter several different markets, including ‘love hotels’ and taxi services. It wasn’t until the 1960s that Nintendo first started producing toys ­– a move prompted by an employee’s private project. In 1974, Nintendo entered the video games market, producing some of the world’s most popular console games. Tiffany & Co. started life as a stationery store. Royal Dutch Shell was founded as a small antique store. Nokia was originally a paper mill, before specializing in manufacturing rubber tyres and boots. In the 1960s, the company was making radio phones. By the early 2000s it was the world’s leading manufacturer of cell phones. Ahead of each reinvention, an organization must consider its brand, and how its story – past, present, and future – will help to engender the cultural shift that is required to fuel successful change. Your values and beliefs are what defines your organization as a place where your people want to work. They dictate behaviors, and connect the organization, its leaders, employees, and customers. Values and beliefs of both organizations and individuals evolve – they don’t change overnight. Once you have identified your values and beliefs, use these to guide how you do things. Consider what your people and customers expect, and enable your leaders to lead change within these expectations while simultaneously challenging them. Use your history of success as evidence of a future of success. Trust your market intelligence to inform your change, and encourage your people to not only accept the change, but to embrace it. Sometimes risks will need to be taken to challenge the status quo. Nothing of any value has been achieved without an element of risk. At GE, Jack Welch challenged his people to become fully engaged with change, encouraging them to be more innovative and inventive. Instead of measuring results internally, evaluation of success was referenced against external competition. He created a team of fully engaged executives committed to organizational values, and courageous enough to embrace the culture of change. These executives enthusiastically conveyed the new brand and change story to GE divisions and employees. Ensure your leaders understand how to encourage your employees to let go of the past and embrace change. Many employees will believe that the need for change is no more than a management initiative that will quickly be forgotten. It’s imperative that your people understand the evolution of your story, and your future vision. Ask them for help, encourage ideas, and ensure your change leadership is visible. Creating your legacy requires everyone to buy into your brand story, and be its advocates. This story will reset your legacy from the past to the present, and prepare it for the future. It is everyone’s responsibility to innovate, iterate and refine as your brand story evolves. Make them accountable for the success of change, and thank them for their efforts. Organizations must change and evolve to remain competitive and grow. A positive and future-facing brand story is essential to onboarding all stakeholders in the process of change. To discover how a Change Agent Bootcamp and leadership coaching will help your organization and leaders produce lasting change, contact Forward Focus today.